Jesus – son of God? Christians believe that Jesus was the son of God, but sceptics say he never claimed this. His followers only developed that belief later, they say. Based on the historical conclusions of impartial scholars, what can we say about Jesus being divine? Christians believe the Bible has special status as a book inspired by God, but sceptics don’t accept this. We therefore cannot assume this in approaching this question. The only acceptable place to start, then, is with the conclusions of the most respected and impartial historical scholars, who don’t treat the Bible as a special book, but treat it as they would any other historical document – or, in this case, a group of historical documents (because the New Testament is a collection of writings that were written separately). So our task is to determine if we can draw any conclusions from the facts which most historians accept. Most scholars are agreed that Jesus’ main message was the dawning of the kingdom of God on earth, when God would begin to put things right. Jesus saw himself as God’s spokesman and central to the coming of the kingdom: The Spirit of the Lord is upon me, because he has chosen me to preach the Good News to the poor. He has sent me to proclaim liberty to the captives, and recovery of sight to the blind; to set free the oppressed, and announce the year when the Lord will save his people. (Luke 4:18-19). Historian Michael Grant: Jesus [believed] he himself was inaugurating God’s kingdom upon earth ….. The whole of Jesus’ moral teaching was secondary and subordinate to this conviction. He told his disciples they would reign with him in the future kingdom: Truly I say to you, in the new world …. you who have followed me will also sit on twelve thrones, judging the twelve tribes of Israel. (Matthew 19:28). And of course, he was the king above even the twelve. Jesus taught that God’s judgment of people would be based on how they responded to him: I tell you, everyone who acknowledges me before men, the Son of man will also acknowledge before the angels of God; but he who denies me before men will be denied before the angels of God. (Luke 12:8-9). Thus Jesus saw himself as above all human beings and God’s representative on earth. Most scholars now agree that Jesus saw himself as the Messiah – the long-awaited kingly hero sent by God to free the Jewish nation. For example, Jesus twice (Luke 4:16-21 and Luke 7:22-23) used language about himself which the Dead Sea scrolls show was understood in his day as messianic. When he came to Jerusalem for the last time and received a hero’s welcome, he rode on a donkey, a symbolic act understood by the Jews as messianic (based on Zechariah 9:9-10). When he was executed, the Romans put a sign on the cross saying Jesus was executed as ‘King of the Jews’. Jesus’ favourite title for himself was “son of man”, and enigmatic phrase that could simply mean “a man”, but most likely also refers to a divine person which Daniel 7:13-14 says will rule over the entire world. Finally, Jesus many times called himself “the Son” (of God). Many of these references (in John’s gospel) are disputed by many scholars, but at least one clear claim to be the son of God is made in the parable of the vineyard in Mark 12:1-9. Even more telling is Jesus’ statement in Matthew 11:27: All things have been committed to me by my Father. No one knows the Son except the Father, and no one knows the Father except the Son and those to whom the Son chooses to reveal him. Scholars are not agreed on whether these sayings are what Jesus actually said, or interpretation by the gospel writers. Many believe Jesus’ claims to divinity were implicit and hidden rather than explicit (as discussed below), and only understood by his disciples after his death and (they believed) his resurrection. There is not agreement among scholars whether the Messiah and the Son of man were seen as divine figures or not, but it is hard to escape the conclusion that Jesus’ use of all three titles is an explicit claim to divinity. This can be seen clearly in Jesus’ response at his trial to the question: Are you the Christ [Messiah], the Son of the Blessed? I am; and you will see the Son of Man sitting at the right hand of Power and coming with the clouds of heaven. He said his teachings had greater authority than the Old Testament Law which Jews believed was given by God himself – for example his teaching on divorce (Matthew 5:31-32 & Mark 10:2-12). Most scholars accept that Jesus was well known as a healer and exorcist – for example, EP Sanders says: I think we can be fairly certain that initially Jesus’ fame came as a result of healing, especially exorcism. And both Jesus and his hearers saw his power to heal as a sign of divine authority: But if it is by the finger of God that I cast out demons, then the kingdom of God has come upon you. (Luke 11:20). Most telling of all, Jesus many times claimed to be able to forgive people their sins (M Grant: Jesus introduced a very singular innovation. For he also claimed that he himself could forgive sins. ). To the Jews, this was something only God could do, and they saw Jesus’ claim as blasphemous (see Mark 2:1-2). When Jesus prayed, he called God “Abba”, which means “Father” or even perhaps “Dad” (the scholars are not in agreement about how familiar the term was). He taught his disciples to pray “Our Father” but he always called God “My Father” when he prayed. This indicates Jesus saw himself uniquely as God’s son. Many times in John’s gospel Jesus made “I am” statements – I am the bread of life (John 6:48), I am the light of the world (John 8:12), I am the resurrection and the life (John 11:25), I am the way, the truth and the life (John 14:6) and before Abraham was, I am (John 8:58), etc. These sayings, with their repeated use of the “I am” phrase which seems to refer to the Od Testament name of God as “I am”, make an impressive case for the divinity of Jesus. However many scholars do not accept that these are the words of Jesus. Jesus’ resurrection also points to his being divine, but again, many scholars are not willing to say the resurrection is historical, because historical analysis cannot deal with such an amazing and unique event. Because of the scholarly uncertainty on these two matters, I haven’t addressed them in more detail. During his life, the disciples watched as Jesus did many amazing things, leading them to conclude he was the Messiah (a figure the Jews regarded as a human ‘special agent’ acting for the one true God). They revered him, but didn’t worship him as God. It would have been very difficult for a monotheistic Jew to worship a human as God. After his resurrection, the early christians quickly (probably within a decade) began to worship Jesus as divine, as is shown in early creeds, prayers and hymns, some of which are recorded in the Bible (e.g. Colossians 2:5-11, 1 Corinthians 16:22, 1 Corinthians 15:1-8). This probably occurred in response to their reflection on his life, their belief in his resurrection and powerful spiritual experiences. It was probably decades until they came to formulate the doctinal belief in Jesus as son of God, a process which continued for several centuries until the doctrine of the Trinity was developed. This early devotion to Jesus thus lends further support to the christian belief in Jesus as “son of God”. 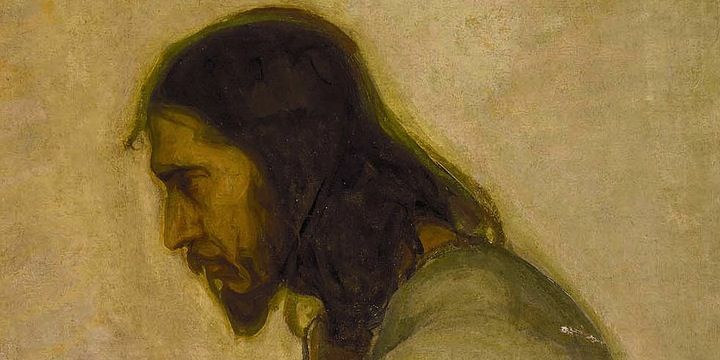 The only Jesus we can plausibly find in the sources is a Jesus who, though usually reticent about it, speaks and acts for God in a way that far surpassed the authority of a prophet in the Jewish tradition. …. Could Jesus act with fully divine authority and exercise the divine prerogative of giving life, while being himself no more than a human servant of God? No, because in Jewish theology such prerogatives belong uniquely to God and cannot simply be delegated to someone else. They help to define who God is. Hence, even in the Synoptic Gospels, Jesus’ claims to divine authority – to forgive sins or to share God’s universal sovereignty – are regarded as blasphemy by Pharisees and chief priests. In summary, not all scholars will accept Jesus’ divinity as a fact of history, but using the facts they generally do accept a case can be built which I find to be compelling. Each of us can make our own judgment on that. Michael Grant quotes from “Jesus: an historian’s review of the gospels”. E Sanders quotes taken from “The Jesus Debate” by MA Powell. Check out the full list of historical Jesus references used in this website.